Includes the names: J.F. Power, J. F. Powers, POWERS J. F.
What defines Boston? Its history? Its landmarks? Its sports teams and shrines? Perhaps the question should be: Who defines Boston? From Henry David Thoreau to Dennis Lehane, Boston has been beloved by many of America's greatest writers, and there is no better group of men and women to capture the heart and soul of the Hub. In Our Boston, editor Andrew Blauner has collected both original and reprinted essays from Boston area writers past and present, all celebrating the city they love. In the wake of the Boston Marathon bombing, they responded to his call to celebrate this great city by providing almost all brand-new works, and forgoing royalties in order to support the survivors and their families. For every copy of Our Boston sold, Houghton Mifflin Harcourt will donate $5 to the One Fund Boston. From Mike Barnicle to Pico Iyer, Susan Orlean to George Plimpton, Leigh Montville to Lesley Visser, Pagan Kennedy to James Atlas, here is a collection of the best essays by our best writers on one of America's greatest cities. The contributors reading for this event are: Katherine Powers’ column on books and writers ran for many years in The Boston Globe and now appears in The Barnes & Noble Review under the title “A Reading Life.” She is the editor of Suitable accommodations: An Autobiographical Story of Family Life—The Letters of J. F. Powers, 1942–1963. Tova Mirvis is the author of two novels, The Ladies Auxiliary, which was a national bestseller published by W.W. Norton in 1999 and The outside world, published in 2004 by Alfred A. Knopf. Her essays have appeared in various anthologies and newspapers including The New York Times, Good Housekeeping, and Poets and Writers, and her fiction has been broadcast on National Public Radio. Shira Springer is an investigative and enterprise reporter for the Sports section of the Boston Globe. She covers a wide range of subjects, including local professional teams, sports business, and the Olympics. Prior to her current role, she served as Celtics beat writer. Her journalism career started at the Globe in 1997. 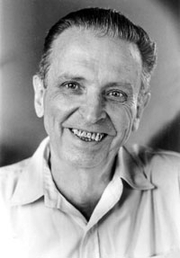 J. F. Powers is currently considered a "single author." If one or more works are by a distinct, homonymous authors, go ahead and split the author. J. F. Powers is composed of 4 names. You can examine and separate out names.